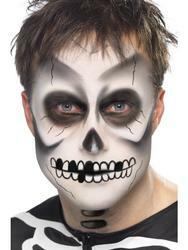 Here at Mega Fancy Dress we have everything you could possibly need for a brilliant themed night out! 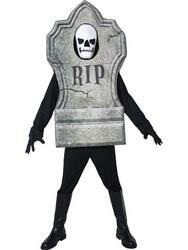 Whether you're 16 or 60, nobody could fail to look cool in one of our themed mens costumes. 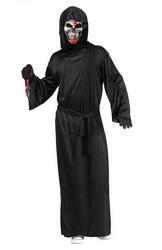 Kids love to dress up and we have a great range of costumes to make any party fun for them! 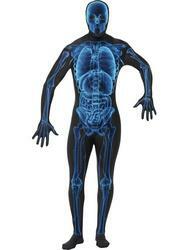 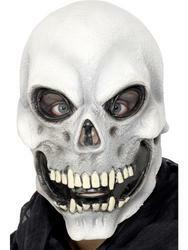 Take a look at our spooky selection of Mens Skeleton Costumes for the best Halloween Fancy Dress attire! 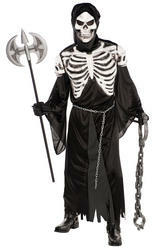 Rattle them bones with one of our comical or spine-chilling skeleton costumes bound to get you in the mood for dancing. 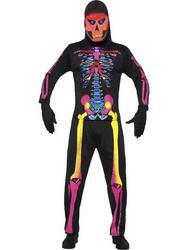 If you like the Morph Suits then our X Ray Skeleton costume is similar to the hit fancy dress bodysuits with its skin tight appearance or for a brighter, vibrant option choose our Mens Neon Skeleton costume, for a colourful twist on a traditional classic. 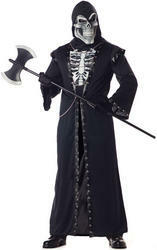 We also stock luxurious spooky skeleton outfits that will scare your fellow party-goers to the bone and look like youve walked off the black pearl from blockbuster hit Pirates of the Caribbean with our fantastic Mens Ghost Pirate costume. 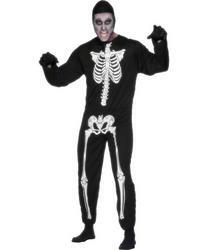 Even when the night of the dead has passed Skeletons still remain an all year round fancy dress favourite. 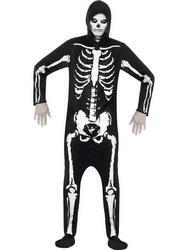 We have a huge range of spine chilling Skeleton fancy dress for Men sure to have you becoming the biggest graveyard smash at the party! 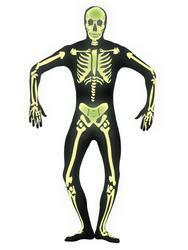 Terrify your friends and fellow party go'ers this Halloween with this fantastic skeleton fancy dress costume. 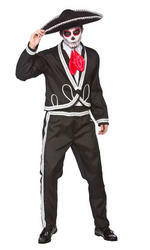 Copyright © 2016 Magic Toyz Ltd trading as Mega Fancy Dress, All rights reserved.